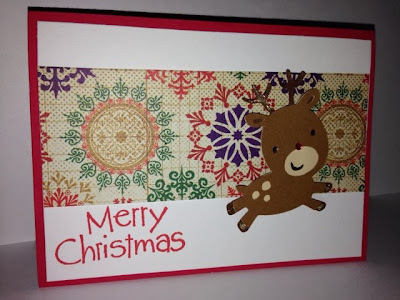 This is the card I created for the Compassion Christmas mailing. I popped up the reindeer on Diana's and Renaydine's cards on action wobbles but the remainder I sent in were on foam squares. The card is a standard A2 size. I made a total of 45 cards in this design.